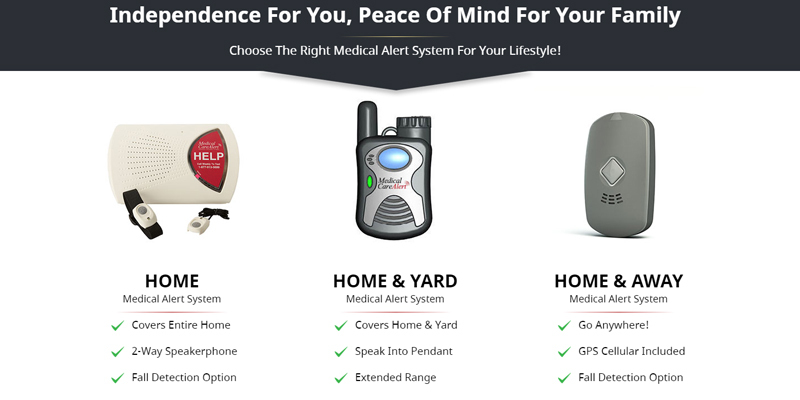 Medical Care Alert Choose The Right Medical Alert System For Your Lifestyle! In an emergency, Medical Care Alert agents not only call contacts you've chosen in the settings but also send them SMS so they cannot miss the message. The battery life in pendants could be longer. This is award-winning medical service that is considered to be one of the best in the US. It has a nationwide coverage and offers a lot of various medical systems to suit your very needs. The operators are armed with your personal medical information and ready to help you 24 hours a day, 7 days a week. 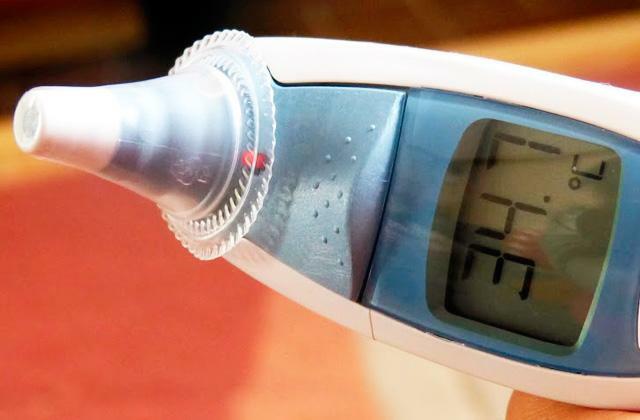 The company offers you a discreet wearable medical alert. The MobileHelp smartwatch powered by Samsung can not only send alerts but also track your activity. The wristband for an alert button wears out rather quickly. 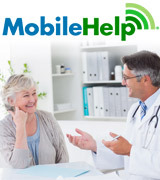 The MobileHelp is an extremely functional service with a huge variety of medical alert systems. All their mobile devices use cellular technology and can work both indoors and outdoors. 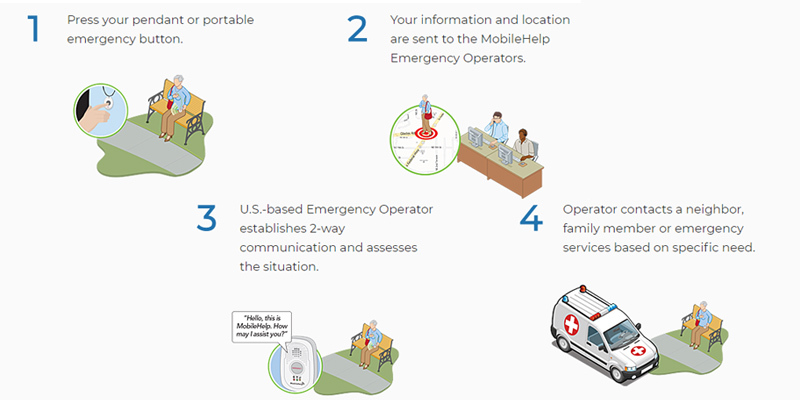 Thanks to a built-in GPS tracker, operators can monitor your location for expedited personal emergency assistance. 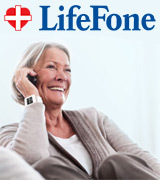 LifeFone offers you a Complete Home Package with the added benefits of 24/7 monitored fire, smoke and carbon monoxide (CO). There's no live chat with customer support team. 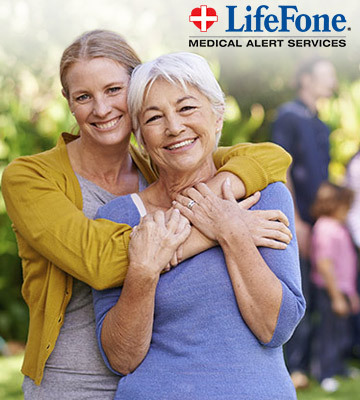 Lifefone is one of the easiest to use medical alert services because it requires the minimum time for connection and configuration. An excellent option for people who want to get excellent, affordable service without putting much effort. With plenty of caregiver tools it provides, your loved one will always get needed help in any situation. The console is equipped with a sensitive microphone and a powerful speaker so you can easily establish a two-way conversation with operators. The pendant works just 600 feet away from the base station. 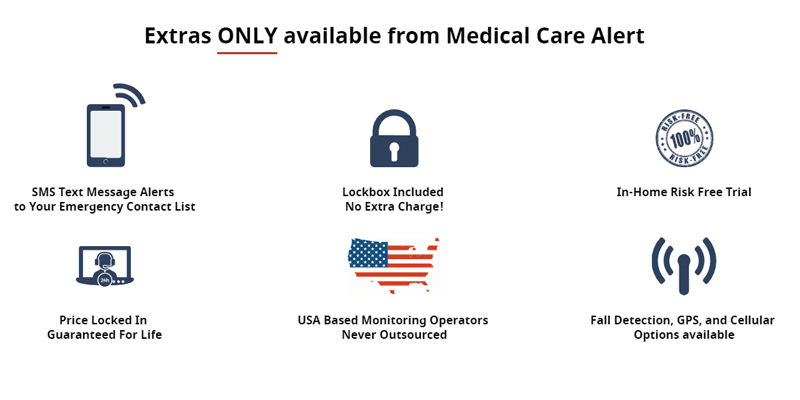 If you are looking for the best medical alert service for two people, then you will definitely like the included services the Alert1 company offers. You can order an additional pendant for your spouse - it'll cost just $5 more per month. 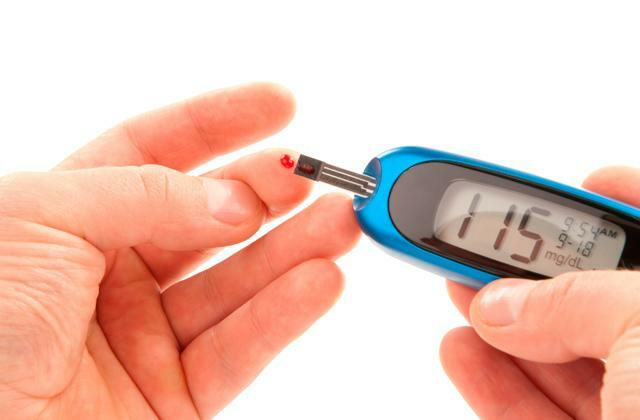 The service offers an Urgent Care function with a 24/7 access to certified doctors and nurses. Thus, you can get a medical advice anytime. The mobile devices are rather costly. This is an excellent medical alert service for people who don't want to be restricted by their homes. All the mobile devices offered by this service have built-in GPS and can track your location. 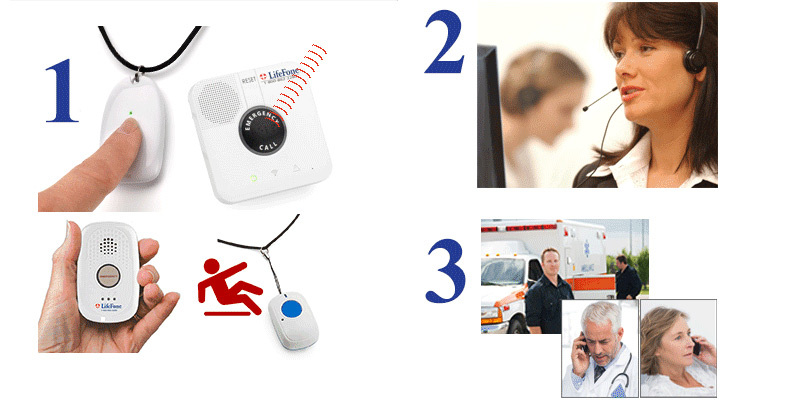 The Greatcall also offers a lot of extra services for ultimate safety. "HOME" system. It's a perfect option for those who mainly stay at home but still want to be independent. It consists of two waterproof buttons and a base unit that has to be plugged into the landline phone jack. However, if you have no standard landline phone network in your house, you can choose the HOME-3G package with the main unit that could be connected to a cellular network. The pendants can be worn as a lanyard or wrist strap and work within a 1,000-foot range from the stationary base unit. "HOME & YARD" system is perfect for those who want feel secure both in their house and in their yard. This system includes 2 shower-safe, two-way voice pendants that can operate up to 600 feet away from the base unit. The main unit should be connected to your phone line and the mains. 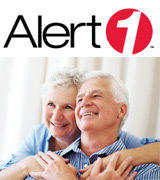 "HOME & AWAY" system is one of the best medical alert services for seniors who often go out. It includes a shower-safe pendant with built-in GPS that can track your location when you're at home or on-the-go. The optional bedtime buddy button is also available. If you need a bit more security, you can order a fall-detection pendant additionally. 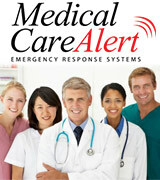 It's available for all Medical Alert System plans for the extra charge. After signing up for Medical Care Alert service, you should complete a personal profile with your information including name, address, preferred emergency contacts, and the medical conditions you have. Thus, the team of professionals will have access to your information once your call is received. 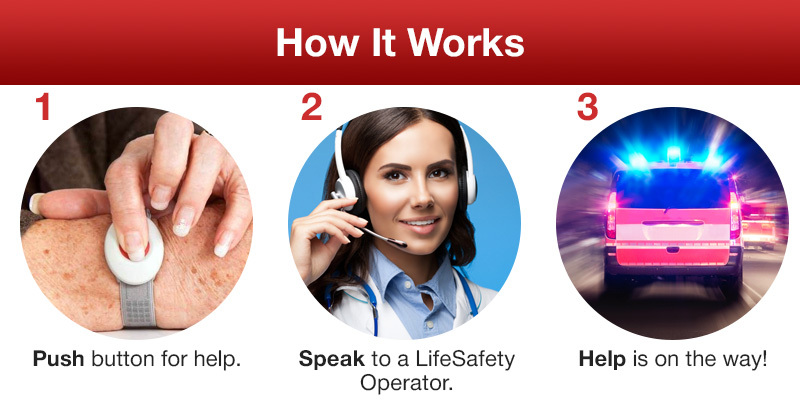 Unlike 911, the Medical Care Alert service agents will always know who you are, where you live, and whom they should call as soon as you press the alert button. Also, the operators can find the closest emergency responders and send them to you. They can even inform your local EMS how to enter your home if the front door is locked. The price varies with the subscription plan you choose. The "HOME system" plan starts at $27.45 per month, the "HOME & YARD system" can be as low as $32.04, and the "HOME & AWAY system" starts at $36.62. All plans have no commitments and can be cancelled anytime. 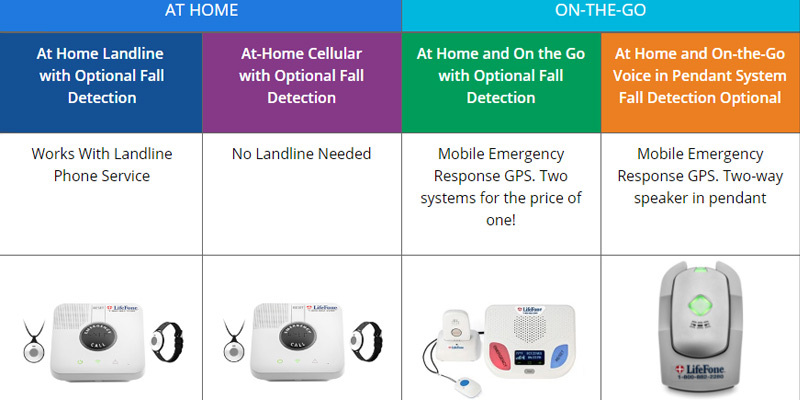 Plus, you can order a fall detection medical alert system ($10.00 more) for each plan. 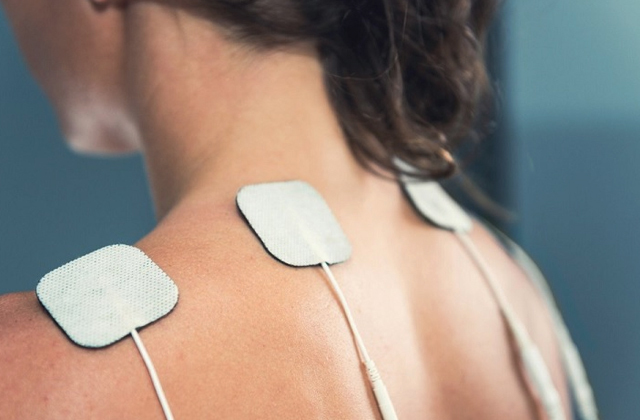 Best of all, you can test any of these medical systems for free. You can order a 14-day trial period and, if you're not satisfied with the medical system, you can return it and get a full refund with no questions, no hassles. 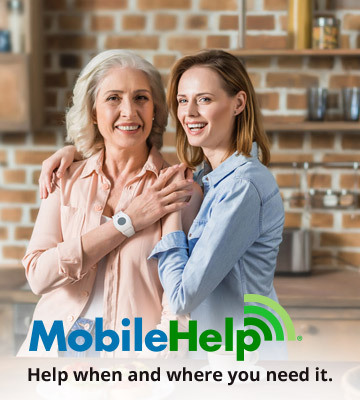 MobileHelp medical alert system is an amazing solution for those who have no standard landline phone service in their houses, since all their devices boast cellular technology and can work indoors as well as outdoors. With just one press of a button, you'll get the needed help anytime, anywhere. 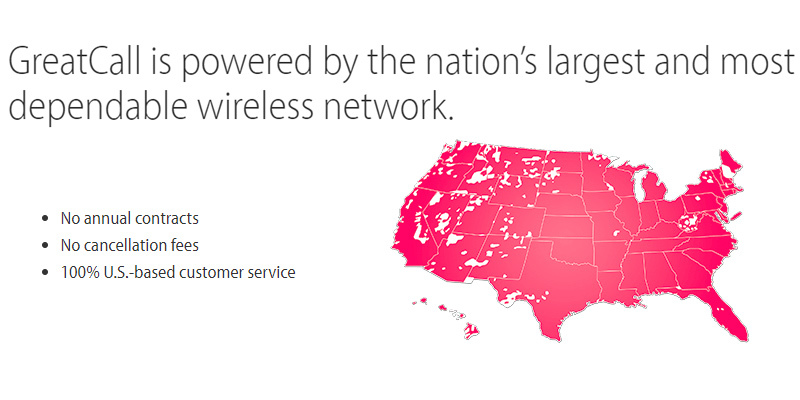 The MobileHelp devices work all across the country including Hawaii and Alaska. With this amazing service, you can feel safe during a walk in the park, at the beach, or elsewhere you wish. MobileHelp Classic system. It consists of the cellular in-home base unit and a push alert button. This system works at home only. When you press the pendant, you activate an alarm call through the base station. 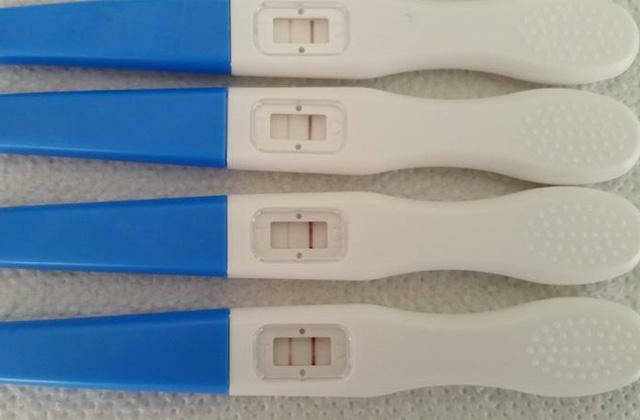 This basic system is good for those searching for coverage at home. It's the cheapest solution for home use that has no extra frills. Mobile Solo system. It's best for use on-the-go. The system includes a GPS portable alert unit and an emergency button but has no in-home station. The portable unit has an emergency button on its body and can be taken wherever you need. Also, there is a separate small emergency button in the set. 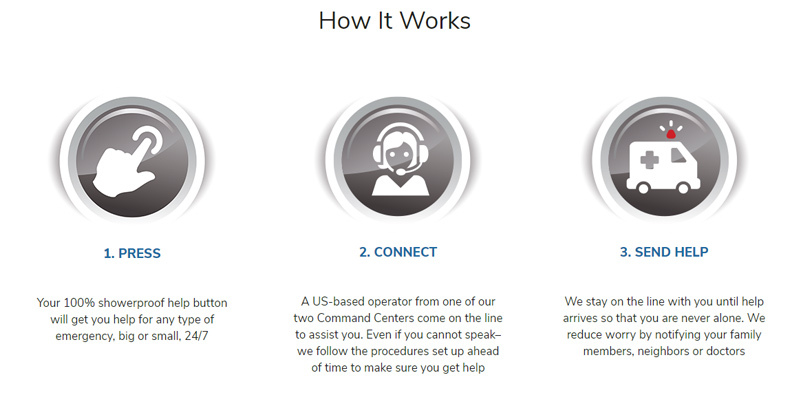 MobileHelp Duo system. It's the most sophisticated system that can also work both inside your home and outside. The Duo system is a mix of Classic and Solo systems - it includes an in-home base station unit, a GPS portable alert unit, and a pendant. With two alert units, it offers additional reliability. If, for example, the portable unit runs out of power, you can rely on the in-home base station which is always plugged in. MobileHelp Smart system. Actually, it's an exclusive feature-rich Samsung smartwatch that can send alerts as well as track your activity, measure your heart rate, and more. 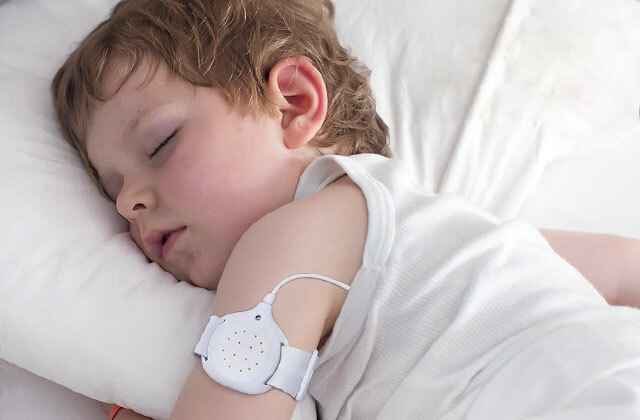 It features vital sign sensors, health-focused applications, and a mini speaker and a microphone for a two-way communication. This watch is really smart enough to save your life. The Mobile Help monitoring services are provided 24/7, and an average response time of the operator makes just 17 seconds. The company has two large monitoring centers in NY and CA. 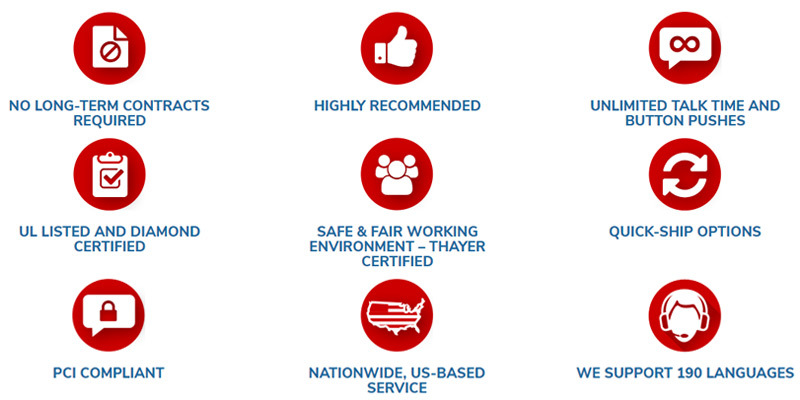 All the operators are certified by the Security Industry Association and they constantly improve and update their skills, so the best service is guaranteed. 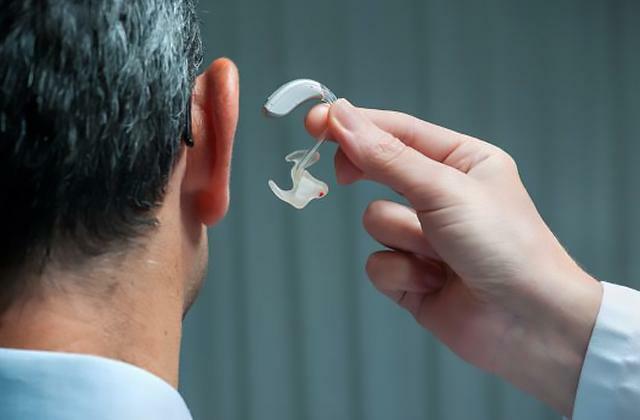 The great news is that the special monitoring app, MobileHelp Connect®, is offered with any type of system at no extra cost. The app allows family members or caregivers to receive notifications from any medical alert system. They can check GPS location and receive such system status notifications as the low battery of the mobile unit or emergency buttons. 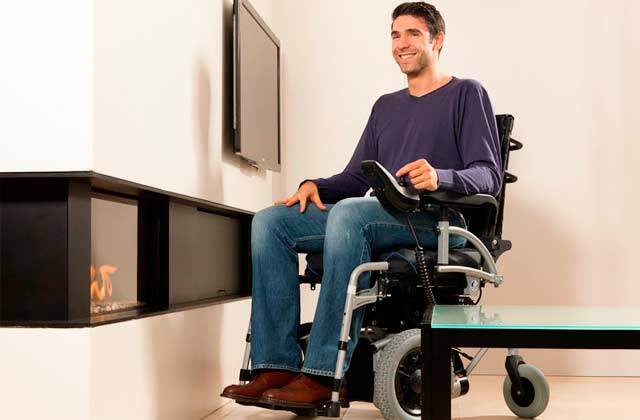 This way, you can stay connected with your loved ones in an unobtrusive manner. Also, any of the available systems can be ordered with the MobileHelp Fall Detection Button. Automatic fall detection is vitally important for those accidents when the user is unable to manually press the emergency alarm button. As for other extras, you can add Medication Reminder to your system for only $5 per month. The friendly reminders can appear on the screen of your cellular base station. This way, you'll never forget to take your medicine on time. 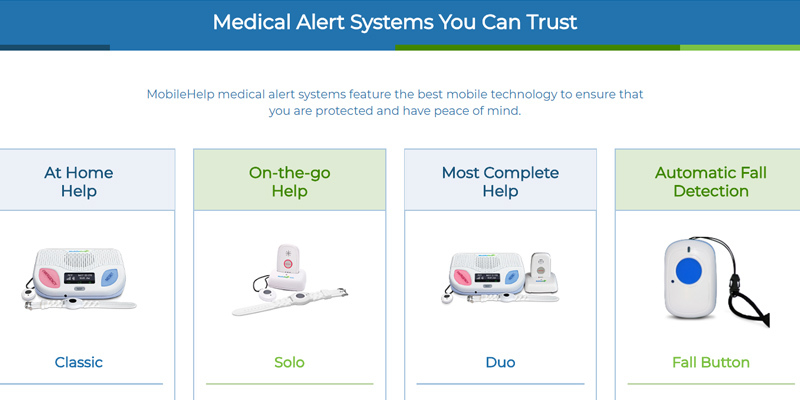 So, if you need an ultimately functional cellular medical alert system, choose MobileHelp. At-Home Landline system. 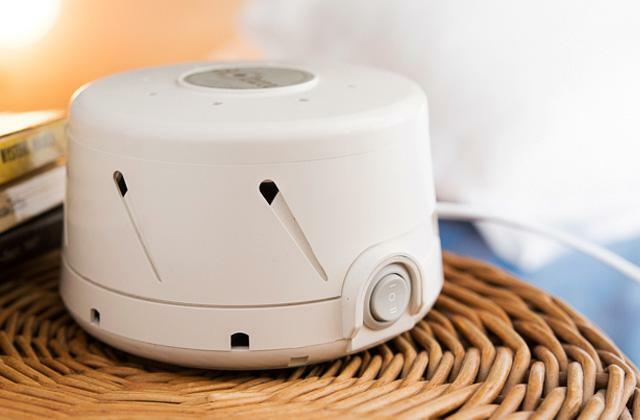 It's a versatile personal emergency system that can make you feel safe in and around your home. The base station installs just in several minutes to connect you with emergency response agents 24/7. The system also includes an alert help button that works within the 1,300-foot range from the base unit. A pendant and a base unit boast a 32-hour supervised battery back-up. At-Home Cellular system requires no landline connection, as it uses cellular network. The system consists of a loud base unit and a waterproof wristband/pendant which battery level is silently monitored in Lifefonecall center. At-Home and On-the-Go system contains both a stationary home base and a portable mobile unit that can go just anywhere with you. You neither need a telephone landline nor a cell phone since both these units work on own Lifefonecall cellular network. The kit also includes a waterproof pendant. At-Home and On-the-Go Voice in Pendant system. It's the most advanced (and pricey) system which has a pendant with built-in GPS service. The pendant is fitted with a two-way speakerphone, so you're not tied to the base unit any more. The pendant is light enough to be worn on a necklace or a belt clip. And thanks to the GPS technology, the operators can quickly identify your location. You can order an advanced optional fall detection function for every system. The pendant with fall detection option can automatically sense if a user has fallen and then make an alarm call. For people with cardiac conditions or other health issues that might cause them to lose consciousness, a fall detection feature is a must. 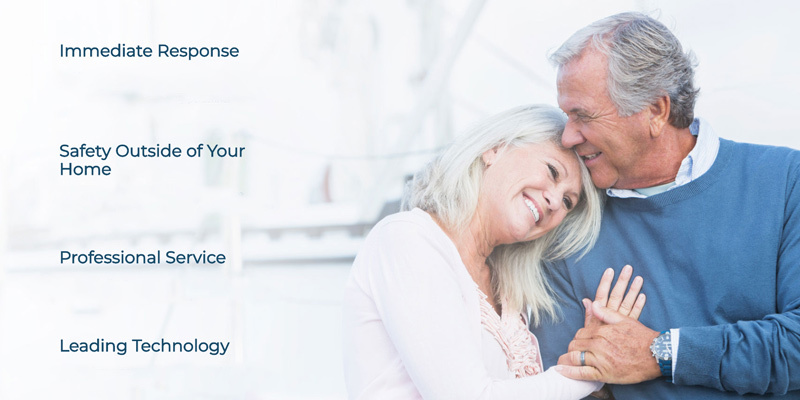 What really sets LifeFone service apart from the majority of other medical alert systems is its optional Caregiver Tools. For an additional charge, you can subscribe to the Daily Check-in Call, Medication Reminders, LifeFone Activity Assurance, and GPS Location Services. 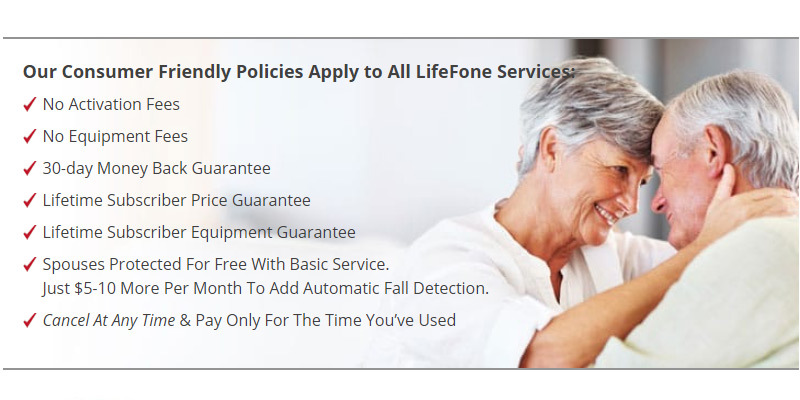 The LifeFone Activity Assurance Service guarantees that the users will be checked-in with an emergency care agent daily. With the LifeFone Daily Check-in Call, the operators will make an outbound call to the subscribers to find out if they are OK or provide them with any reminders they set. Also, the LifeFone medication reminders can appear on the base unit to tell the users when and what medication they need to take. The reminders can be entered and updated by a caregiver who is authorized by the subscriber. 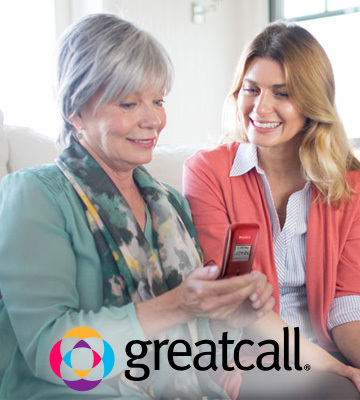 The Location Service allows a caregiver to know exactly the location of the subscriber’s LifeFone mobile device (provided that the subscriber uses an on-the-go system). And if you want extra protection not only for yourself but for your house as well, the LifeFone offers you a Complete Home Package with the added benefits of 24/7 monitored smoke, fire, and carbon monoxide (CO). Also, the LifeFone service offers users a smartphone Mobile Alert app allowing them to reach monitoring care agents with a touch of a button. The app works flawlessly on Android and iPhone devices for a small monthly fee. This mobile app enables subscribers to access monitoring service to their smartphones. Thus, they will be able to push the app alert button for help. No separate medical alert device is required. Home Medical Alert system. It's a basic system for home use. It requires landline connection and can work in your home and yard. The package includes a loud base unit and a pendant. If you wish, you can order one more pendant for a second user for extra $5 monthly. Fall Detection system. This package consists of a base station and an automatic fall alert pendant which quickly detects when a user falls. Kelsi system. It's an on-the-go portable alert system consisting of one small compact mobile device that works on the T-Mobile cellular network. It's ready for use 24 hours a day, thus, you're free to take it with you wherever you go and stay protected. Kelsi Pro system. Like the previous system, this one is ideal for use on-the-go. Yet, it's a bit more sophisticated since it automatically senses falls and calls for help. It has built-in GPS and Wi-Fi modules and can quickly find your location. PAX Plus system. This is a full package that includes a home fall detection pendant, an extra fall detection pendant, and a home wristband. As you see, the choice is vast and the price varies greatly, too. The minimal plan starts at $19.95 and the maximum plan is as many as $52.95. For sure, everyone can find a suitable plan for their needs and wallet. 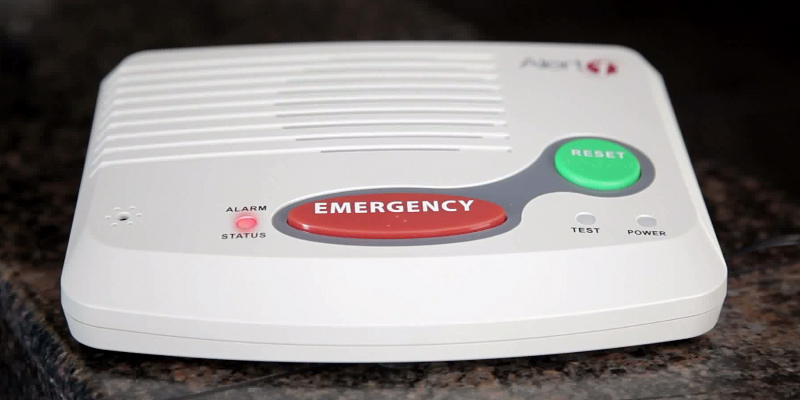 The Alert1 medical alert systems are fairly easy to install. If we're speaking about a classic in-home system, the main things you'll need to do is plug in the main station and connect it to your phone line. Pairing a portable pendant is another step that takes just a few seconds. Although the Alert1’s classic base station is mains-powered, it has a built-in rechargeable battery that can provide power for 24 hours in case of a power outage. 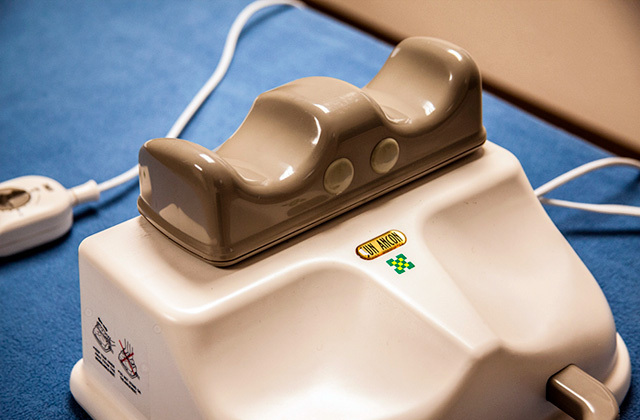 The base console is fitted with a very sensitive microphone that allows users to easily reach Alert1 representatives. Users also can use an emergency push button that is completely waterproof. So, you won't need to put it off when taking a bath or shower. All the equipment boast lifetime replacement warranty, so the company will repair or replace it for free. Although the Alert 1 company doesn't have its own dispatch center, it has a partnership with numerous US-based monitoring services. These call centers are CSAA Five Diamond and UL certified and have a huge experience in emergency monitoring. Therefore, Alert 1 response centers work all day, all night. Jitterbug Smart. It's the simple, senior-friendly smartphone with a huge, easy-readable screen. Just like other touch-screen smartphones, it can help you make calls, send text messages, take photos, surf the Net, and more. However, it turns into a medical alert system after you subscribe to any of Health & Safety Packages. If you need help, you just have to press the 5Star button on the phone's home screen to get connected with the trained urgent response staff. Jitterbug Flip. It's a cell phone with extra-large buttons and a simple interface, which is specially designed for senior users. It doubles as an alert device owing to the 5Star button which is located below the keypad. Once you press this button, you’ll reach Certified 5Star agents. Lively Mobile. It's a simple and compact mobile device with an embedded two-way speaker and GPS technology. It can be worn around a neck or clipped to a belt. 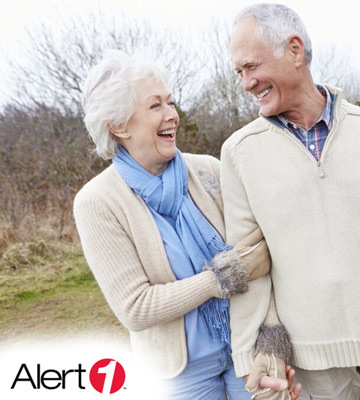 It's one of the most affordable mobile medical alert services out there (starts at $19.99 per month). Lively Wearable. It's an Urgent Response button which pairs with any smartphone. With the push of the button, you will be quickly connected to 5Star Agents via your smartphone. It also serves as an activity tracker which can count your steps and send some other health information to the Lively Wearable app. If you already own a smartphone and don't want to replace it, this additional button is a fantastic, budget-friendly choice. Urgent Care. It's a 24/7 access to certified doctors and nurses. This function enables you to speak with a doctor wherever you need. So, you can get a medical advice anytime. Moreover, you can even ask a prescription for some medications through your phone. GreatCall Link. It's a great tool for family members living far away from each other and for caregivers who want to stay informed about the well-being of their patients. Personal Operator. By dialing “0” on a Jitterbug or Flip phone, you'll get access to a friendly operator who will always assist you. 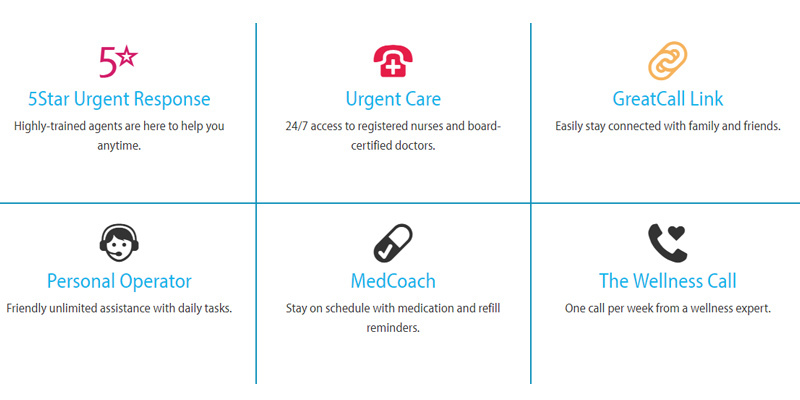 MedCoach can remind you about taking your medications, thus helping you to stay on your schedule. The Wellness Call. You can receive a call with some wellness tips from well-known health experts weekly. Daily Health Tips will help you stay healthy with daily health tips for seniors. The Check-in Call. You can get up to 6 calls per day with questions related to your health conditions. Brain Games can help you train your brain in a fun way. The games are intended to improve your memory and focus. Fall Detection. Once the fall is detected, your mobile device will call for help automatically. For additional $3 or $4 per month, you can order Product Replacement service. If something happens to your device, the company will replace it for free. 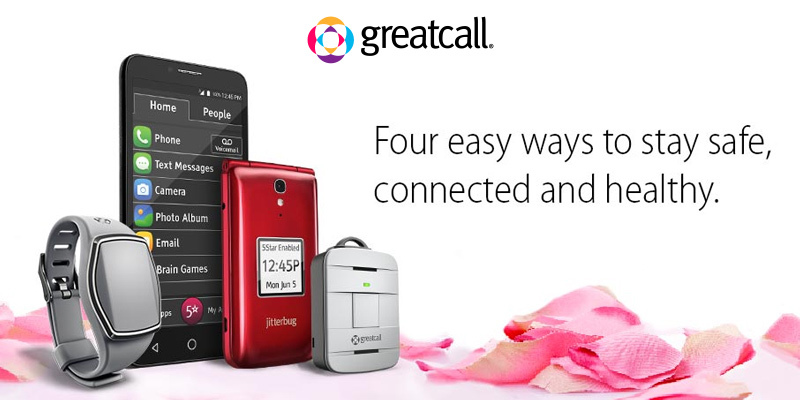 And no matter whether your GreatCall is stolen or broken, the company will send you a new one. By the way, the service has no contracts or cancellation fees. So, if you don't want to deal with long-term contracts, this service is a perfect choice for you. It's a sad fact that 1 out of 4 seniors aged 65+ falls each year. And, unfortunately, 1 out of 5 falls causes very serious injuries and can even be fatal. But how will seniors get help if they're alone? 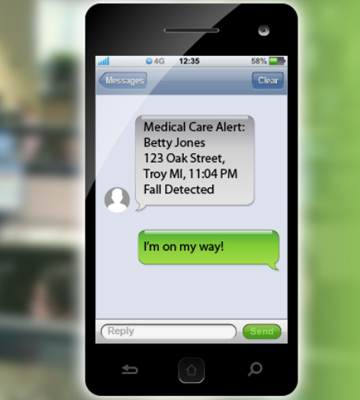 A medical alert system is a way out. With a single press of a button, you can swiftly get the help. How does it work? When a person presses an alert button, the medical system immediately contacts a monitoring center. Operators have access to your personal profile and medical information, so they already know who you are, what medical conditions you have, and where you are. They will immediately contact your family member, neighbor, caregiver, nurse or emergency personnel and stay on the line until the help arrives. Of course, you can also choose a simple (and free) medical alert system sending SOS message to the chosen contacts, however, if you need the best protection possible, we recommend you to subscribe to online medical alert services. These emergency services are easily available 24/7/365 to always provide you with the help you need. 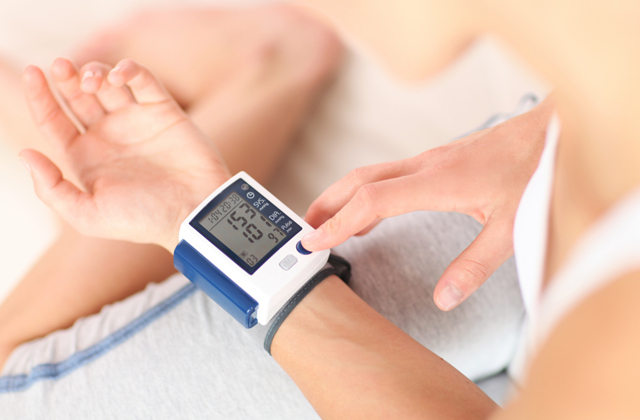 Medical services supply customers with different equipment for both at-home and on-the-go use with GPS tracking. They also offer no-contract monthly subscriptions or annual commitments. A landline-based systems start at $20 per month, while cellular systems are more expensive and can run as high as $30-$40 per month. Also, many services offer extra features like fall detection function, medication reminders, daily check-in calls, and more. The choice is really vast, and that's why we have prepared this medical alert services review to help you find the system that suits you best.